Notes for this conference can be found . Martin Luther said "We are all God's Onesimus." Onesimus means "profitable" or "useful" but he wasn't until running into Paul. The key verses (Phm 1:17-19) highlight substitution, and redemption. Paul had rented quarters, though under house arrest. 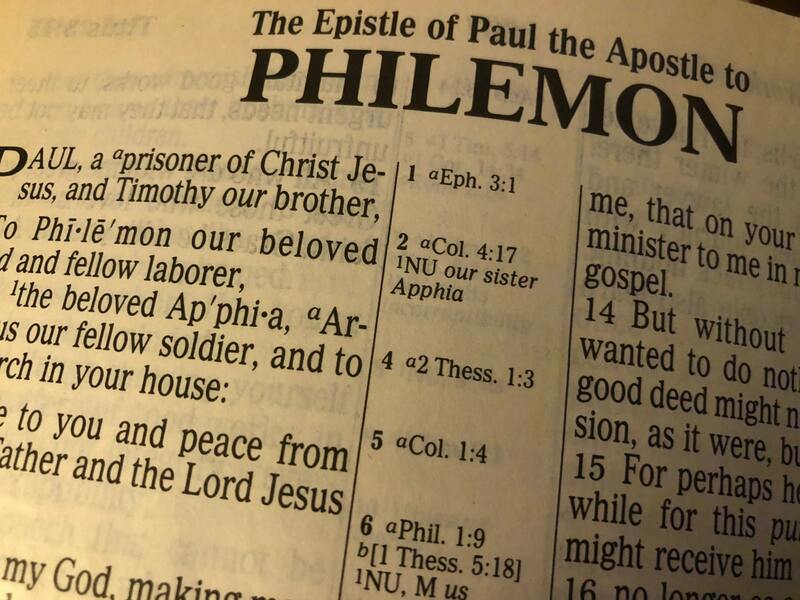 Philemon's issue is that his runaway slave stole money and now is asked by Paul to accept that slave back. Until there is forgiveness, no healing can take place. Without regeneration there is no hope. Men cannot earn salvation; it is a free gift from God. However, discipleship costs everything (Mat 19:24-30, Mat 20:1-16). The parables illustrate proper and improper attitude. The phrase "inherit eternal life" refers to eternal reward. Do you see yourself as first or last? How small are you really willing to be?